Expedition in Nepal is one of the challenging adventures in Nepal Himalayas. Nepal Expedition take to your core of Nepal Himalayas. Nepal Himalayan expedition offer beautiful Himalayan scenery, glaciers, Icefall , beautiful landscape of Nepal. After successfully climb the Mt. Everest expedition on 29th May 1953 by sir Edmond Hilary and Tenzing Norgey Sherpa, Nepal expedition become popular mountaineering destination in the world. Nepal has 8 above 8000m mountain among the 14 and 1310 Himalayan peaks for mountaineering. Nepal expedition provide joy of mountaineering which can be combined with the pleasure of Nepal trekking and expedition in Nepal Himalaya. We Apex Nepal Adventure Pvt. Ltd arrange all major mountain expedition in Nepal including Mt. Everest expedition 8848m, Mt. Kanchenjunga expedition 8586m, Mt. Lhotse expedition 8616m, Mt. Makalu expedition 8463m, Mt. Cho Oyu expedition 8210m, Mt. Dhualgiri expedition 8167m, Mt. Manaslu expedition 8163m, Mt. 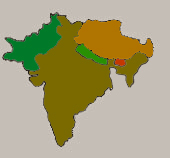 Annapurna expedition and other expedition to Nepal Himalaya. Since Nepal Himalaya expedition has been opened , we Apex Nepal Adventure arrange numerous groups to the summit. Mountaineering in Nepal is an challenging adventure trip and previous climbing experience , good physical fitness required. Nepal mountaineering is one of the most attraction and energetic parts rather than high pass trekking in Himalaya. Autumn and spring season is best time expedition in Nepal Himalaya but we Apex Nepal Adventure Pvt. Ltd arrange personalized expedition service as per clients / mountaineers wish and holiday frame. 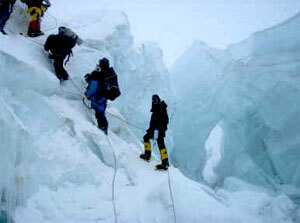 Good physical fitness and previous climbing experience required for expedition in Nepal . We use professional climbing guide /sirdar who have been frequently in top of the world and other major Himalayan expeditions of Nepal. Apex Nepal Adventure is a active member of Nepal mountaineering association and Nepal tourism board and have vast experience and booming the Nepal Himalayan expedition with unforgettable lifetime journeys.